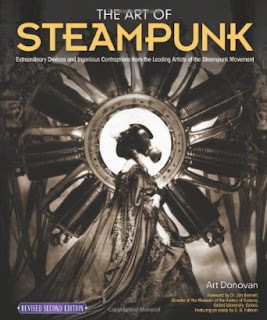 The second edition of The Art of Steampunk: Extraordinary Devices and Ingenious Contraptions from the Leading Artists of the Steampunk Movement was just published back on July 1st. The book, edited by Art Donovan, features over 180 artists. What a lovely piece to keep out on your coffee table to amuse and enthrall guests and family members.